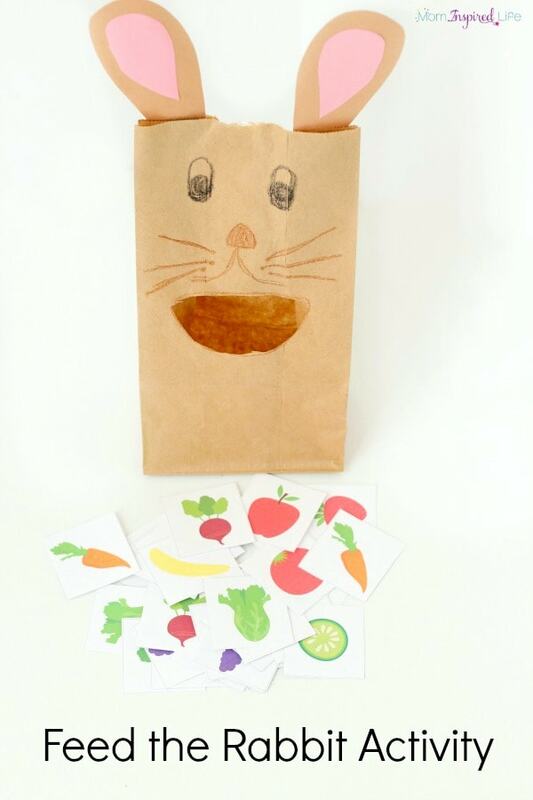 This feed the rabbit activity can be used to teach preschoolers colors, letters, beginning sounds, nutrition and more. It’s also perfect for spring. How’s that for useful! 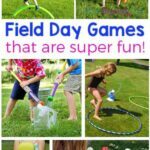 My kids love feed the animal activities. We fed alphabet fish to a bear and acorns to a turkey, so I thought we should feed some fruits and vegetables to a rabbit! I love this one because you can change it up to meet the needs of learners at differing ability levels. I wanted to use it to do a color learning activity with my toddler, but I also wanted to be able to repurpose it for my almost 5-year-old. I created a printable that makes it super easy to do this. 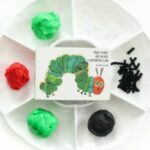 You can leave it as is and practice colors, counting or beginning letter sound identification, but you can also write letters on the cards and turn it in to an alphabet activity. 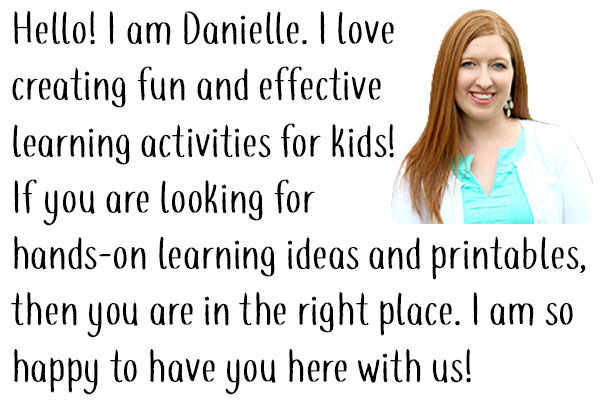 For even more fun, hands-on alphabet activities, check out my list of alphabet activities. 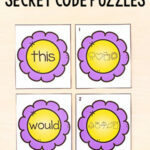 Print out the fruit and vegetable cards on cardstock, for durability. I printed two copies so I would have more of each fruit and vegetable. Then cut them apart. 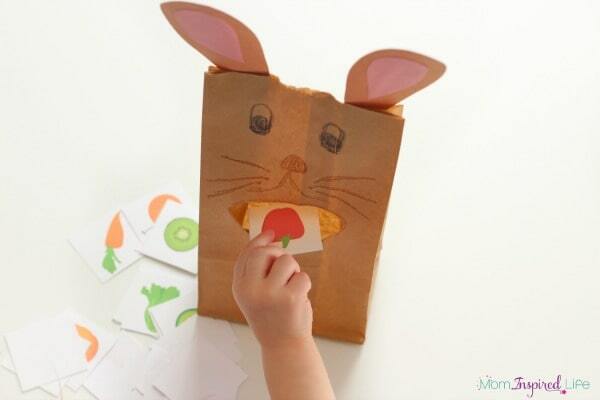 Draw and cut out bunny ears from the brown and pink paper. 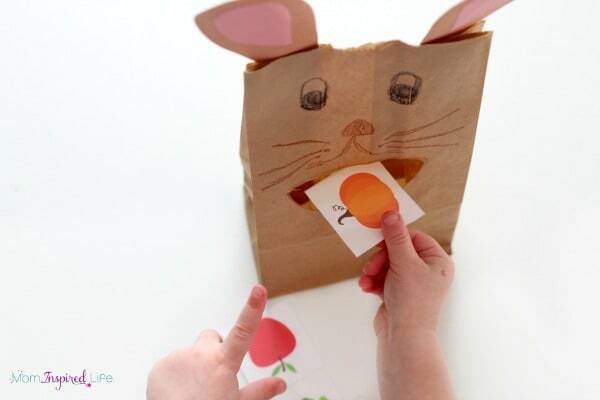 Draw a bunny face on the bag. Then cut out the mouth hole. Glue or tape the top of the bag closed. 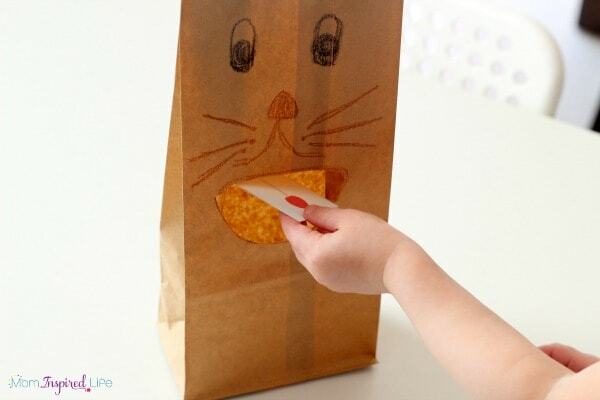 Stick the bunny ears on the bag with glue or tape as well. 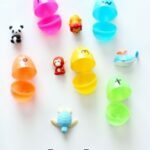 She would search through the cards and look for a fruit or vegetable that was that color. We did this over and over again until all of the food had been fed to the bunny. She never tired of it and thoroughly enjoyed feeding the rabbit. 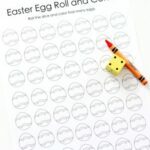 You can turn it into a counting game by using dice and having your child feed the rabbit the amount of food that corresponds to the number on the die. 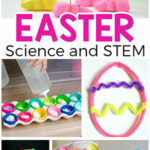 It is so versatile and super easy to make so it’s a great way to get a lot of use out of one activity! And it pairs perfectly with the book The Tale of Peter Rabbit! 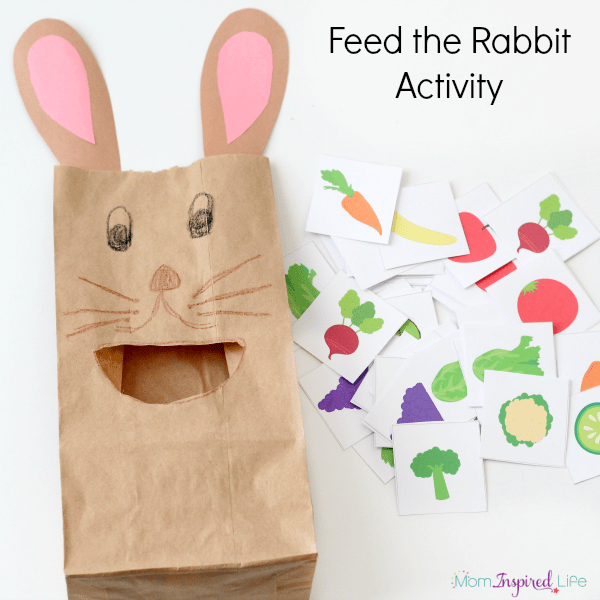 Check out all of the other activities inspired by the book The Tale of Peter Rabbit!